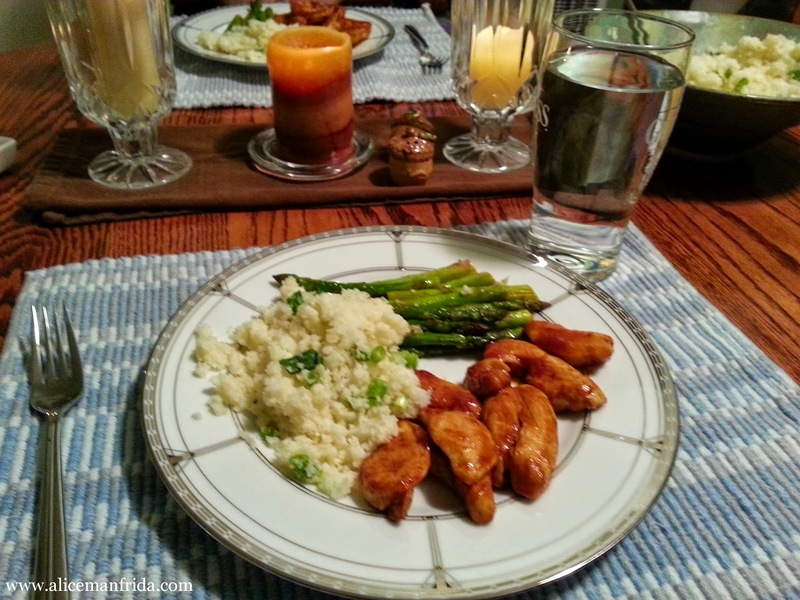 As an alternative to mashed potatoes, cauliflower is a good choice. It's kind of bland on it's own, which makes it easy to add into dishes with bold flavors. I made mine really super garlicky but you can do whatever you like. 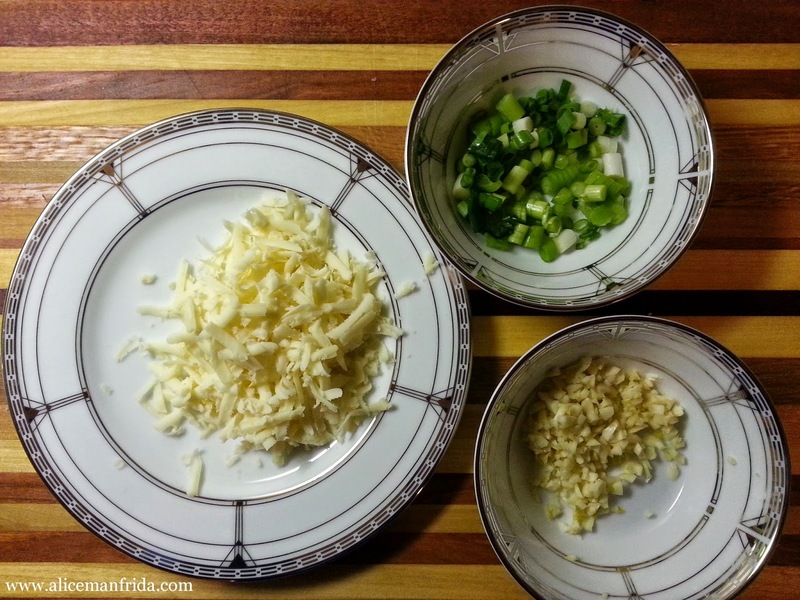 This is a multi-step side dish and you can make a lot at once and either feed a lot of people or use it for leftovers. 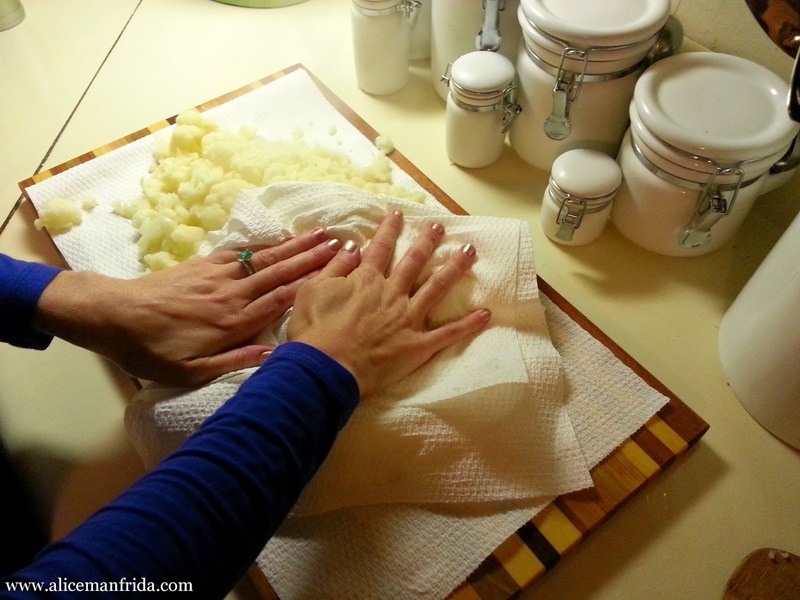 The first thing is to chop up the cauliflower. This was SO messy! I got little pieces all over the place. Ha ha! Also, it doesn't seem like there is that much in this head of cauliflower but when you start chopping, I swear it expands. 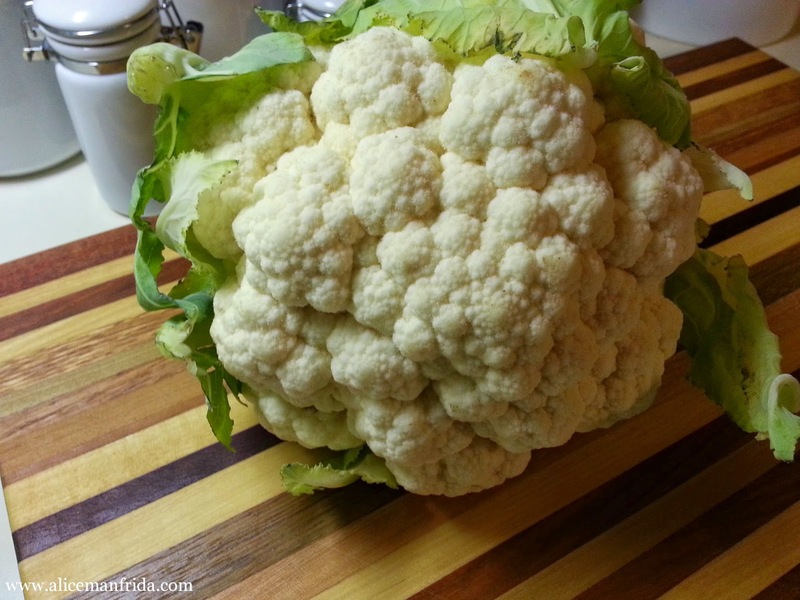 Put the chopped cauliflower in a pot of boiling water. Let it boil until it's kind of soft. Somewhere between 5 and 10 minutes depending on how big your pot is. If you've packed it in without a lot of room then you have to cook it longer so that all of the pieces can get soft. 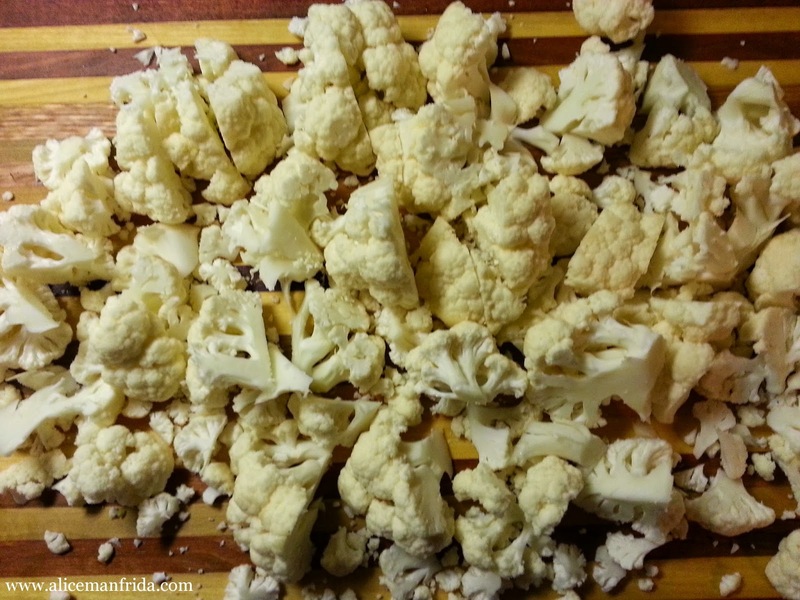 Drain the cauliflower and spread it all out on a paper towel or a dish towel. Don't burn yourself. Pat it dry. You don't want a lot of excess water or it's going to end up runny. 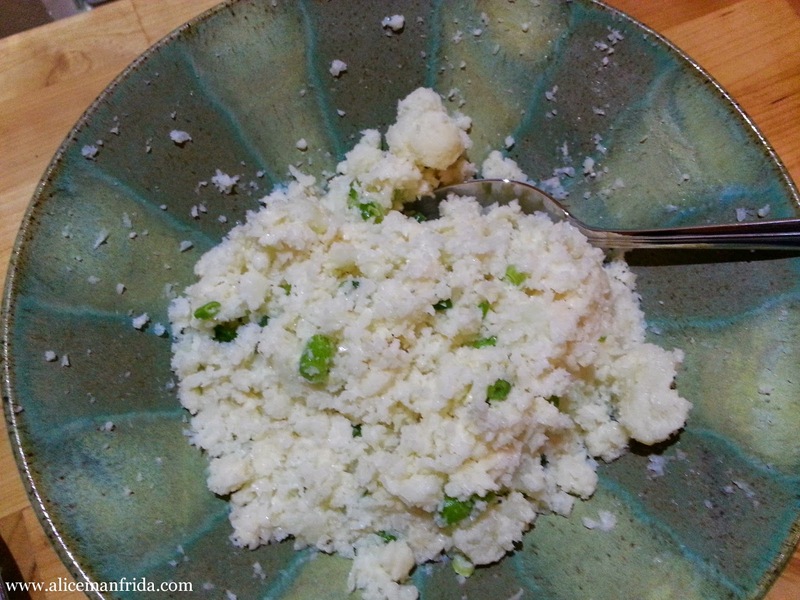 After it's dry put the cauliflower along with some butter, finely chopped garlic and the shredded cheese into a food processor. I did add a little milk but I don't think you need to. You can also use cream cheese instead of cheddar cheese to make it creamier. Or you can use no cheese...but come on. CHEESE! I mixed the scallions in afterwards with a spoon instead of putting them in the food processor. Just a word of caution to those who like to do "healthy" substitutes. This is an alternative to mashed potatoes but it isn't an exact replica. It does have a slightly different consistency and you can make it healthy but you can also put a lot of things in it (like a bunch of cream cheese) and make it very yummy and not super healthy. This did hold up really well in the refrigerator and I've been heating it up with other veggies in a pan in the morning to eat with eggs for the past two days because there was seriously SO much!